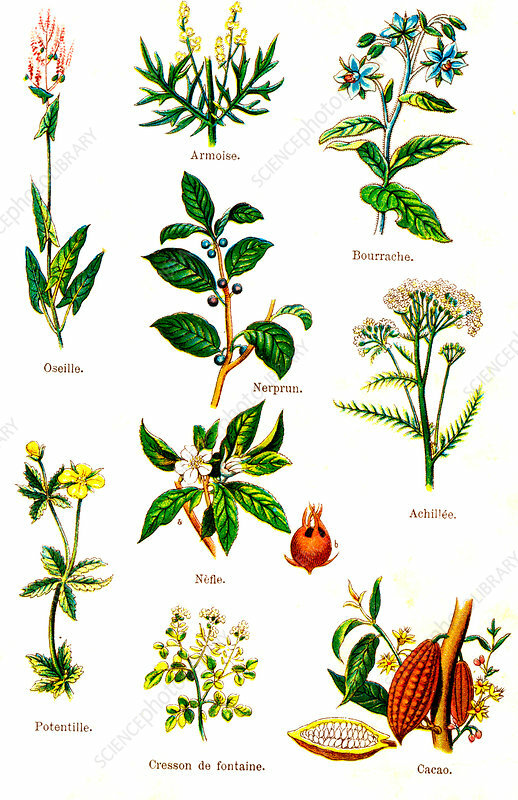 Edible and medicinal plants, 1881 illustration. From top left: sorrel (Rumex acetosa), wormwood (Artemisia sp. ), borage (Borago officinalis), buckthorn (Rhamnus sp. ), yarrow (Achillea millefolium), potentilla (Potentilla sp. ), medlar (Mespilus germanica), watercress (Nasturtium officinale), cocoa (Theobroma cacao).